It's been a hectic week this far - without no reason in particular - so forgive me for being kinda MIA in the blogging community. I've been working on this little guest post thing for a friend who's travelling abroad, so it's cutting my time a bit from my normal posting things. But not to worry, I'll be back on track this weekend. Now, about the outfit. This outfit was something I wore a while back, and both the top and the leather shorts are something I bought while shopping with one of my best friends. The fun part? She has the same items now. :D I never buy same things with anyone, but then we just couldn't help it. This was a simple look I had to try out once I got the shorts and that shirt. The shorts try to be somewhat high waisted, but I don't think it shows that much. Both items were sales finds, how great is that? What do you think about this outfit? Have you found whole outfits from sale this Summer? I'm continuing my manicure challenge today with only one manicure. And, you remember how I mentioned on the previous post how yellow is a challenging manicure color for me? Well, blue is that as well. But I got somewhat nice nail art with a little help of my Konad set. 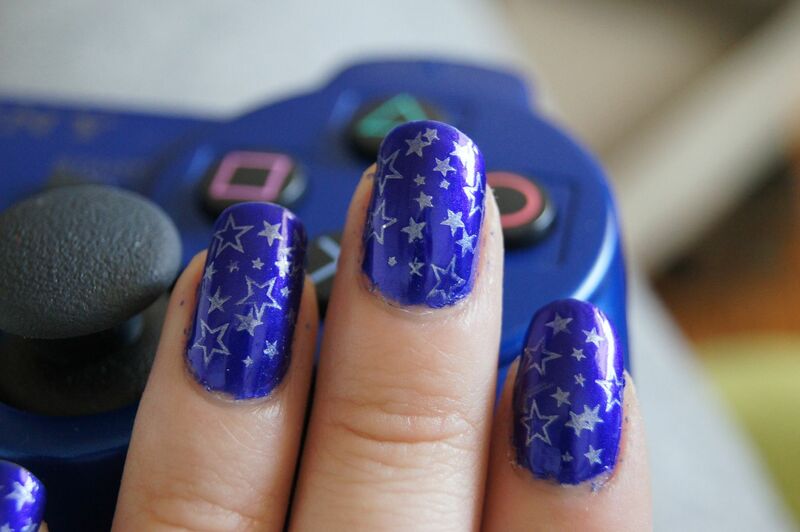 It's kind of a starry sky theme on these nails, and I felt it needed to be photographed with our blue PS3 controller. Hehe. Johanna, I love those shorts!!! 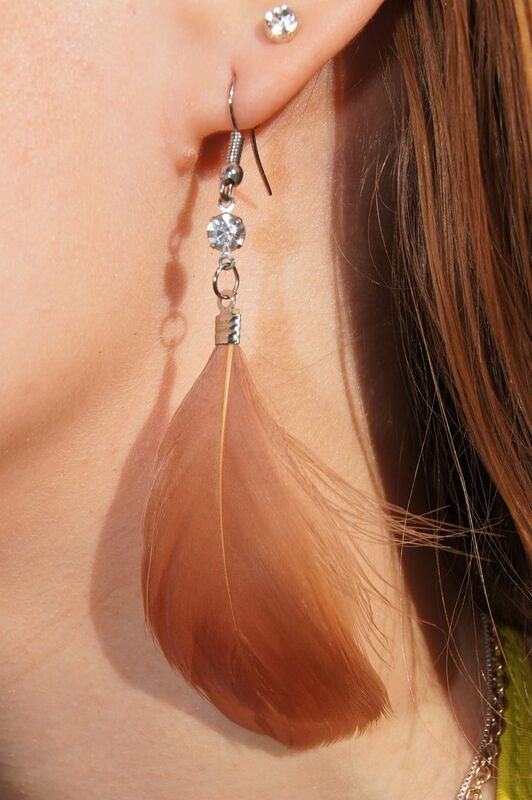 they looks fabulous on you! 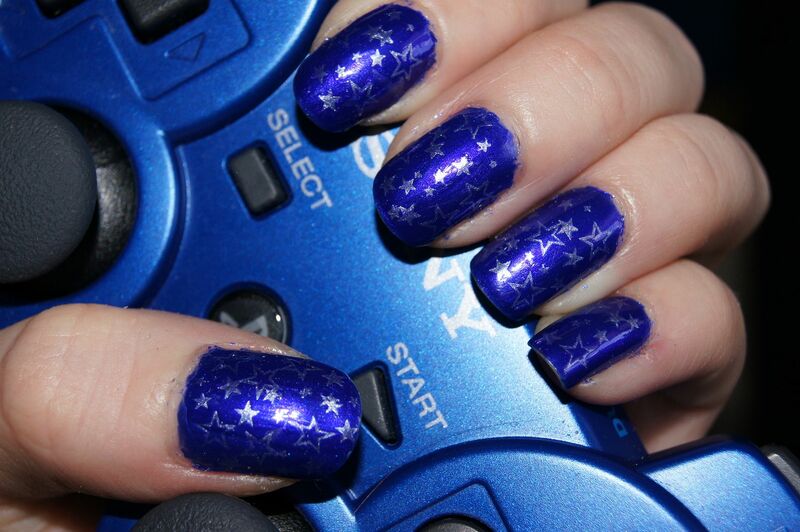 And your blue nails totally match your ps3 controller! cute! black and white colored clothes, accesories, shoes etc are really the basic colors in fashion and any person should have in their closet, easy to match any colors and no one can go wrong with this colors. 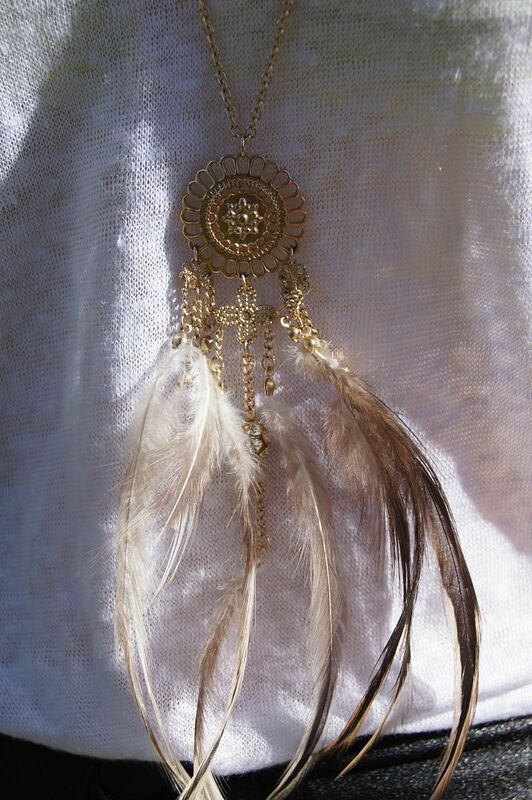 And you dream catcher is a knockout, hope i can found a fashion jewelry like than soon. Black and white is my favourite combination! Love those shorts. They look amazing on you! Jo I love the look , especially the short! I love a lot of things here ! 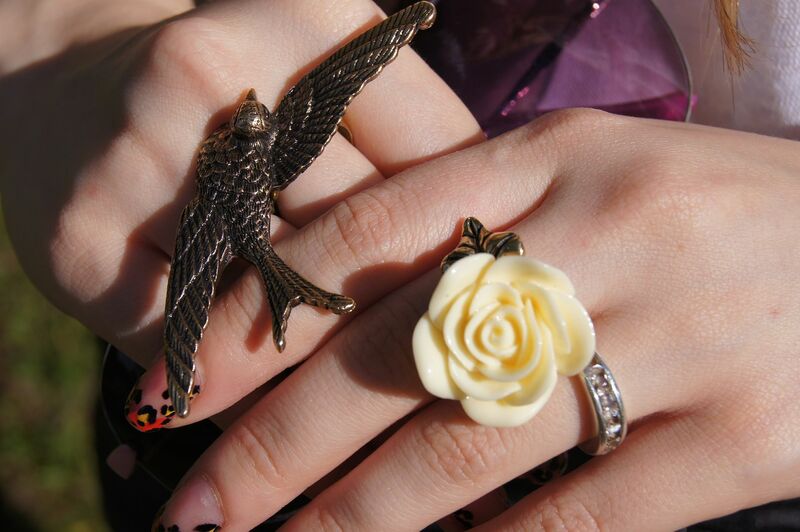 Particularly the bird ring, the necklace, the shorts and your shoes !! !